Welcome to Udayachal High School, a place where each day brings with it new delights and fresh insights, where young students find that the purpose of life -is a life of purpose; where application of knowledge has become the benchmark of education, where international and cultural exchange have become the norm, where values are not taught but lived every moment, where the students perform centre stage and we support them by being with them, around them, behind them, accepting , appreciating, admiring and applauding their transformation. Udayachal is a temple of knowledge where excellence is the tradition and is reckoned to impart high quality education to our students and in the process foster their over-all development to become ethical and proficient human beings. Our primary emphasis is to provide our students with a benevolent and supportive environment where their mind, body and soul can be nurtured with utmost care. We at Udayachal are always in an incessant pursuit to strengthen the enduring values, beliefs and cultural strands that have given Udayachal its unique identity. Our most significant endeavour is to inculcate in every child the values, ethics and principles which will metamorphose them into responsible global citizens. Udayachal High School focuses on innovative teaching methodologies in the curriculum so that the whole learning experience becomes fruitful and exhilarating. 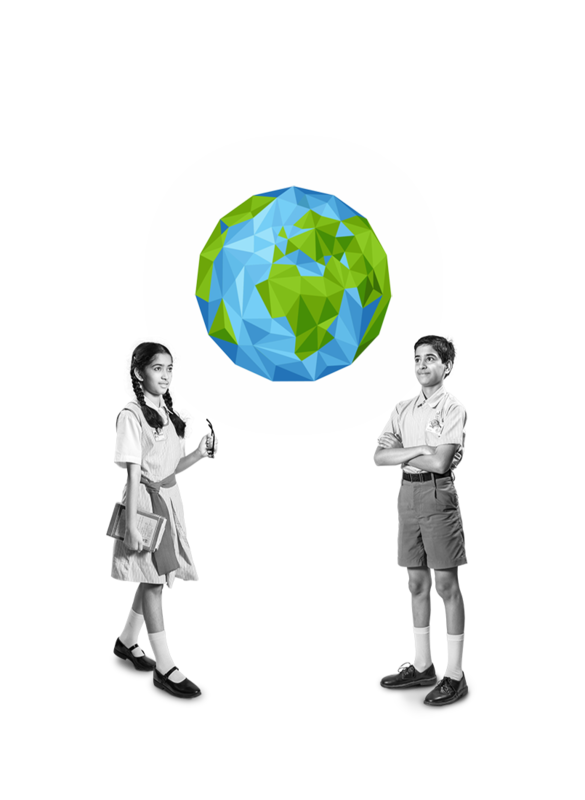 We have therefore always embedded an international dimension within the curriculum to provide the students with a larger perspective about various subjects pertaining to important issues. Our students are provided with ample opportunities along with all the amenities and expertise required to hone their skills and pursue their various interests. We firmly believe that our education structure stands tall on a strong foundation laid by our Honourable Founders and comprises the prominent pillars- the students, parents, teachers, non-teaching staff and the management. We maintain an excellent rapport with the parents so that they interact with the teachers regularly and work together to ensure that our students make consistent progress. With the unified efforts of the dynamic faculty and the ever supportive management and parents, we have become an epitome of quality and excellence. 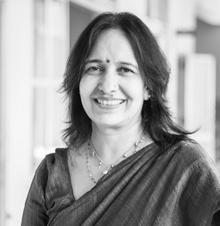 Being the Principal of Udayachal High School is the greatest privilege of my life as it has presented me with the prospect of nurturing the young, enthusiastic and tender minds of our children who are the inheritors of the future. I am blessed to have an enterprising team of more than a thousand students, teachers and staff combined with the zestful support of the management.Together they form the cohesive force that can elevate Udayachal to the pinnacle of success. 8:00 a.m. to 2:55 p.m.
12:35 p.m. to 1:10 p.m.
3:05 p.m. to 4:00 p.m.
Students prepare practical projects on all subjects alongside the theoretical process of learning. A hub where children can access additional subject related information which may be used to prepare e-projects. Articulation is recognised as a crucial process in the learning curve. Tools like brainstorming, role-play, discussion, debate, mind mapping, creative writing, language lab and reading sessions facilitate this aspect. Subjects like Mathematics and Science are best learnt by 'doing'. The endeavour is to equip students with problem -solving abilities and stimulate diverse ideas that can be transformed into effective processes. Luminaries, eminent academicians and scientists are invited to conduct interactive sessions with students so that they can learn from the best. To further the spirit of enquiry, students prepare and display models and projects. These are conducted regularly to enable pupils to keep in touch with the latest developments in the field of Education. Well- equipped and spacious laboratories ensure that each child enjoys the experience of experimentation. Yoga ensures that pupils strike a chord between their inner selves and the outside world. The first step to effective learning is to balance a healthy mind with a healthy body. Mass drills, competitive games and team sports aim at building endurance and boosting fitness levels. Holistic learning is a cornerstone of our vision. Co-relation of subjects provides an all-round perspective on the subject matter. Udayachal High School is a co-educational, English medium school affiliated to the S.S.C. Board. It has classes for students from standards 5 to 10. The subjects offered from standards 5 to 7 include three languages; English, Hindi & Marathi, and the core subjects of Science, Mathematics and Social Sciences. 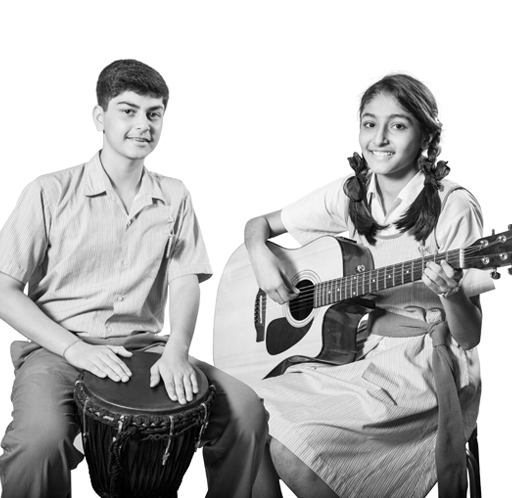 Children hone their creative skills through Drama, Music, Art, Craft & Physical Education classes. Technical education at this stage includes Carpentry and Fitting. Students from standards 8 to 10 have the option of selecting either Hindi/Sanskrit or Hindi/ French, or pursue Hindi as their third Language. In Standard 8, students can opt between Computers and Elements of Mechanical Engineering (Technicals). Students have the option of choosing between Road Safety Patrol or Scouts and Guides. Students of Standard 9 have a choice between Vocational Guidance and Elements of Mechanical Engineering (Technicals). Co-curricular activities not only serve as a break from the intensity of the curriculum, but also develop students’ appreciation of creative pursuits, arts and culture. Here are some of what we cover. Art and handwork are given prominence in our curriculum alongside the message of sustainability. Each child is given the freedom to express creatively and encouraged to use waste material. Students recycle and turn such items into utility based aesthetic articles without any monetary expenditure. Indian motifs and art forms are greatly encouraged. A healthy body houses a healthy mind. So, physical education is given its due in the children’s education process. A combination of exercise, games, malkhambh (traditional Indian acrobatic pole act), yoga, gymnastics, aerobics, and lezim (vigorous physical dance and drill) are all included. We shun the mundane and encourage creativity at every step. Children learn songs in different Indian languages which they go on to perform at the school assemblies and cultural programmes. Consequently, our programmes always reflect the variety and richness of our cultural heritage. To us, music is not just vocalising the scales or the usual nursery rhymes, it is teacher-composed songs on different themes like trees, seasons, birds, animals etc. The rhythm keeps children’s spirit going and they naturally dance to it too. Plenty of innovative musical instruments made out of industrial waste encourage children to play in rhythm. Dances that reflect the real Indian tradition are fun and a wonderful way to exercise! 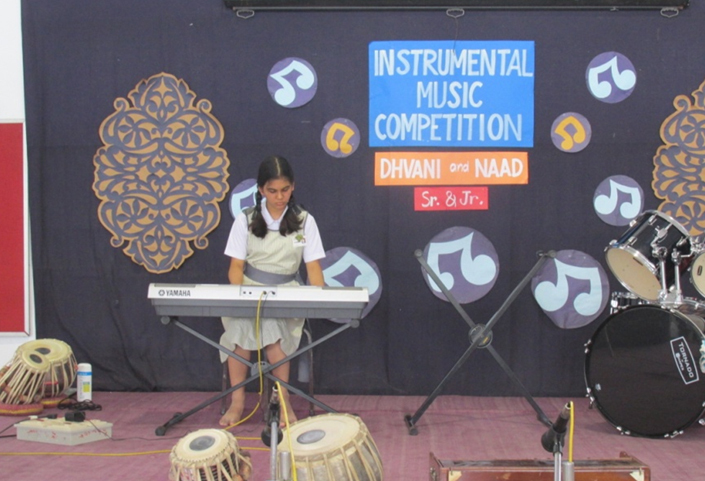 Regular programmes, besides Annual Days are designed to promote self-expression, confidence and creativity. Role play also brings about catharsis, where feelings are dealt with. In the 2nd week of April admission forms are printed and distributed to the existing Std 4 students of Udayachal Primary School. Parents are required to submit the filled forms along with the documents on the dates mentioned for submission. The spirit of competition is one of the most sensitive aspects of a child’s adolescent years. In the right measure, competition can encourage children to perform and grow to potential. We have always believed that all our efforts should be concentrated towards beating our own personal benchmarks. The most worthy competition is with oneself, and to participate is to take a step in the right direction. Friday Assemblies: House activities conducted on Fridays to promote healthy competition. A platform provided by Udayachal High School for schools in Mumbai to showcase their oratorial skills. An opportunity to hone public speaking skills on current issues.